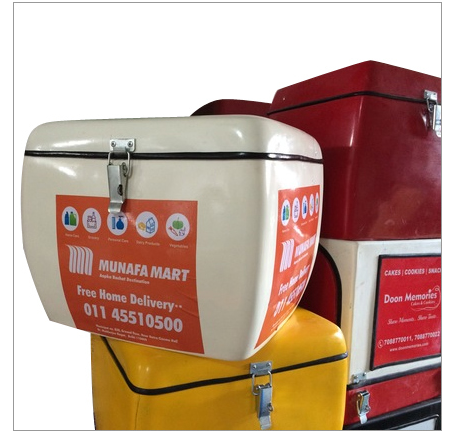 Our company has been indulged in offering a best quality range of Food Delivery Boxes in New Delhi, India which is made using premium quality of material and innovative technology and is made as per the set industry norms. The offered range is widely appreciated by our clients who are situated all round the nation. Known for its qualities such as it keeps food warm for longer time and is considered safe for food storage and delivery. Food Delivery Boxes are offered at industrial leading prices.